The nation of France enabled Greece to find breathing space because Germany desired even harsher terms during intense talks about the bailout plan. Despite this, the Prime Minister of Greece Alexis Tsipras faces major political and social convulsions. Indeed, Tsipras also doesn’t support the new terms of the economic bailout but given the severity of the crisis he believed he had no other options. 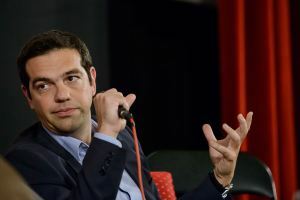 Therefore, the current leader of Greece faces a very difficult period based on internal and external factors. Ironically, while Tsipras doesn’t belong to the middle ground in politics, it could be argued that in the end the middle ground was forced upon him at the eleventh hour. However, some within the same political party are not happy about the perceived European Union diktat based on their political leanings. Therefore, with the politicians of Greece needing to ratify new austerity measures, it is clear that Tsipras faces a very difficult situation. Within Europe, France clearly stepped in at the eleventh hour to help Greece because Germany was pushing for capitulation until political elites in Paris upped the ante. After all, Manuel Valls, the Prime Minister of France, stated strongly before bailout talks that France “refuses a Greek exit from the Eurozone. If the parliament of Greece ratifies the harsh austerity measures then France will be able to continue to help the current political elites in Greece. Yet, given the internal political tensions facing Tsipras – and social convulsions that may erupt based on various factors – then clearly the path ahead is extremely rocky. This reality spells trouble for Tsipras and the political party Syriza. After all, the harshness of austerity agreed by the leader of Greece doesn’t match the ideology of the party he belongs to. Therefore, it appears that internal political and social convulsions await the people of Greece, irrespective of the final decision taken by the parliament of this nation.